the time makes eating a nutritious meal nearly impossible for some. This grape slushie provides a nutritional boost of vitamin C and can be combined with a liquid prenatal vitamin to reduce morning sickness. There are many variations of this recipe, so don’t feel obligated to stick with just frozen grapes. 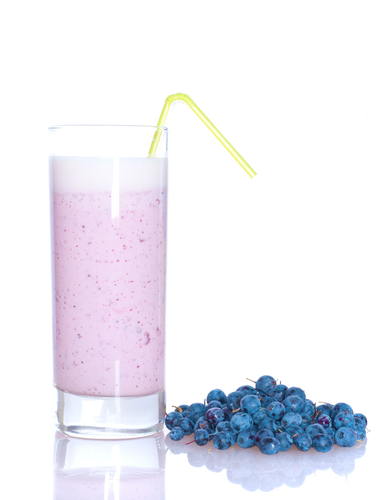 Add grapes, juice and strawberries to the blender. Variations: Many pregnant women like to add cantaloupe or other berries in place of the strawberries. Ice can be used in place of frozen grapes. Apple juice can also be used in place of grape juice. If the juice is too strong, feel free to water down just a bit to taste. Nutritional Benefits: Vitamin C, Antioxidants.